Bahama Mama Ice Pop is one of our favorite frozen adult ice pops. It has coconut, pineapple, orange, lime, and cherry flavors all rolled into one refreshing frozen cocktail. 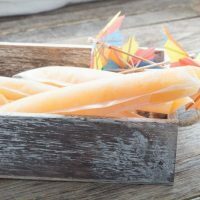 Bahama Mama Ice Pop can be made without coconut rum by using all white rum. Not sure if I would still call it a Bahama Mama without coconut though. If you don’t have coconut rum but still want the coconut flavoring, try adding some coconut extract and replacing the coconut rum with white rum. We use 1/4 cup of grenadine in this recipe to give it a bit more color so we can tell the difference in pops when serving more than one type of slushsicle. The grenadine can be reduced to 2 tablespoons for a lighter colored ice pop and less cherry flavor. We have a tutorial for making alcoholic Popsicles in our post How to Make Spike Slushsicles. We also have more freezer tested recipes, original slushsicles are cranberry daiquiri and jack frost, green-eyed monster is a melon flavored and bright green. We have others being tested now, so check back often for new recipes. Please drink responsibly, or in this case, eat responsibly! These spiked ice pops have the same amount of alcohol as one mixed drink! Do not drink and Drive!! 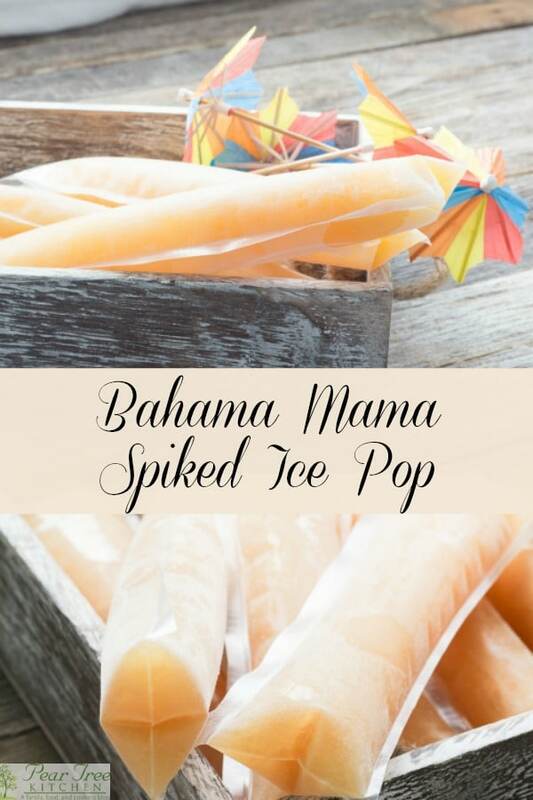 Bahama Mama Spiked Ice Pop is one of our favorite frozen adult ice pops. It has coconut, pineapple, orange, lime, and cherry flavors all rolled into one refreshing frozen cocktail. 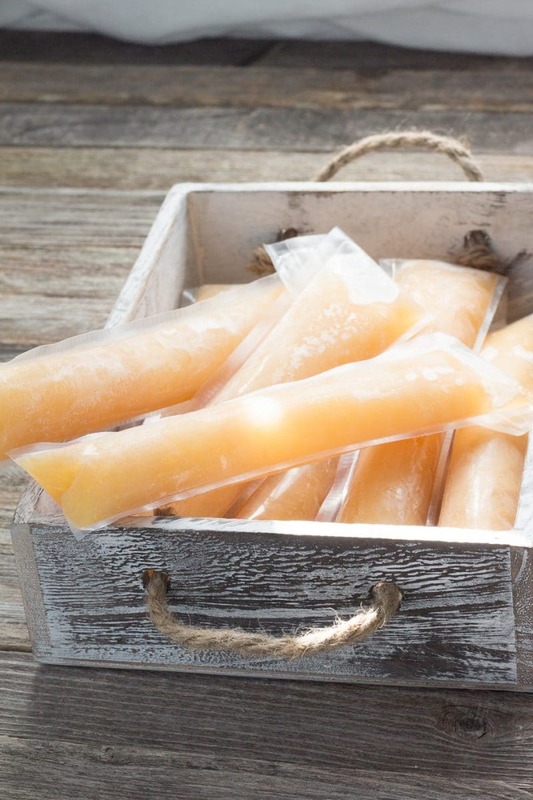 Place filled popsicle sleeves upright into glass or bowl and place in freezer. 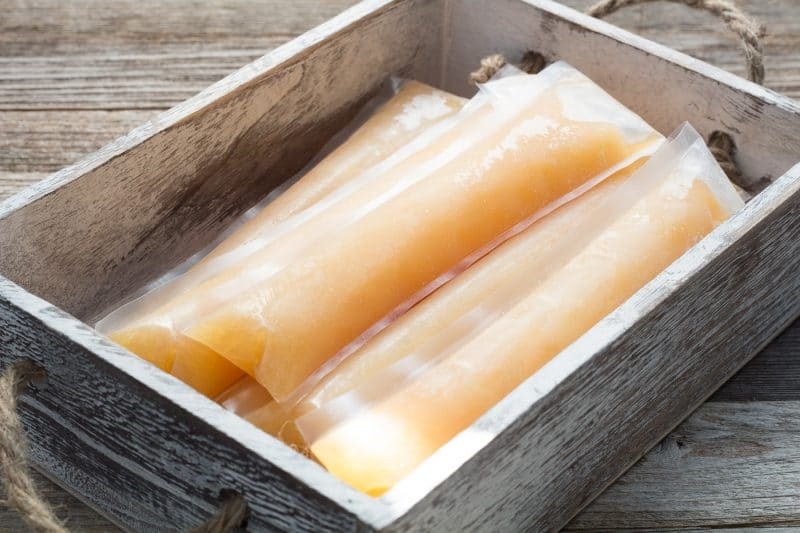 Allow ice pops to freeze overnight. Once frozen, slushsicles can be laid on their side. Number of pops produced are determined by the level filled. 8 is a good number to shoot for. Cook time of 24 hours is for time in freezer. The sleeves we use for our frozen cocktails are Zipzicle. We buy them in packs of 100 so we always have them on hand. Remember to follow us on social media by using the social media buttons below. Sign up to receive email notifications so you never miss a new post!